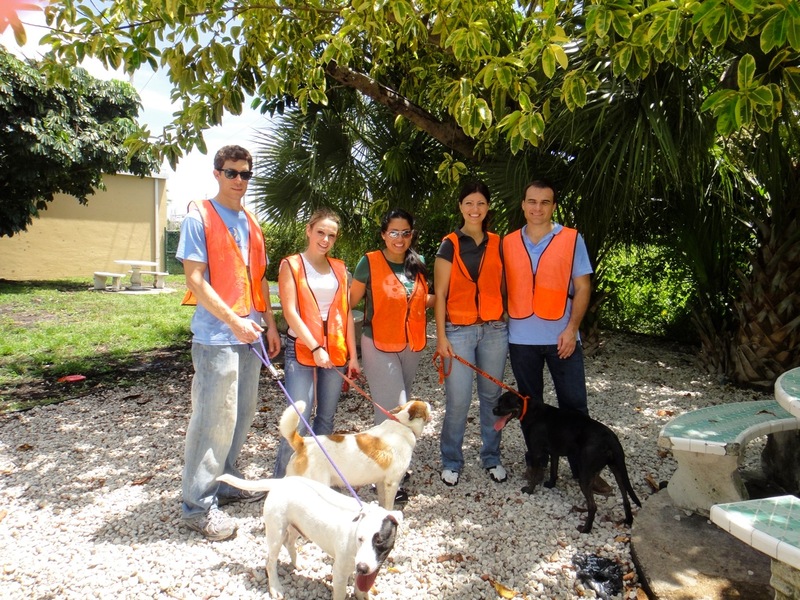 On July 30, 2011, Lawyers to the Rescue sponsored its “Lend a Hand to Help a Paw” event with the Humane Society of Greater Miami. This was LTR’s first furry encounter and it was wild! Volunteers walked and played with the shelter’s dogs. Miami attorneys Marco Britt and Jessica Laleh played fetch with their new furry friends, while attorneys P.J. Mitchell and Katty Julca helped walk and socialize the pooches. LTR member Theresa Cavanaugh showed her support and love for animals by coming from Palm Beach county to participate and help walk and care for the dogs. The crew witnessed some very happy adoptions, however, plenty of pets are still looking for a good home. Donations are always needed and supplies are low. Please visit www.humanesocietymiami.org to donate items or to rescue your next best friend. Watch our calendar for future events with local animal shelters and please remember to spay or neuter your pet!